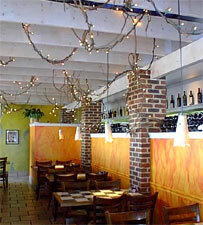 Agrodolce Ristorante in Germantown, MD. Enjoy the sunshine and our spacious patio dinning. The decor at Agrodolce, a very good Italian restaurant in a corner of a Germantown shopping center, is simple and pleasing. One of the two dining areas is light and airy. The other is small and cozy. Service is good. Most evenings, the kitchen is under the direction of chef-owner Phil Burleson. The restaurant does the basics very well. Its success with ambitious dishes is mixed, but there are winners. Agrodolce also boasts what appears to be the best wine list in Montgomery County, and a sommelier is on hand to provide guidance. Read more. Come and experience a new sense of delicacy from our original menu selections. Taste some of the world's finest wines, from one of the best lists in the area.